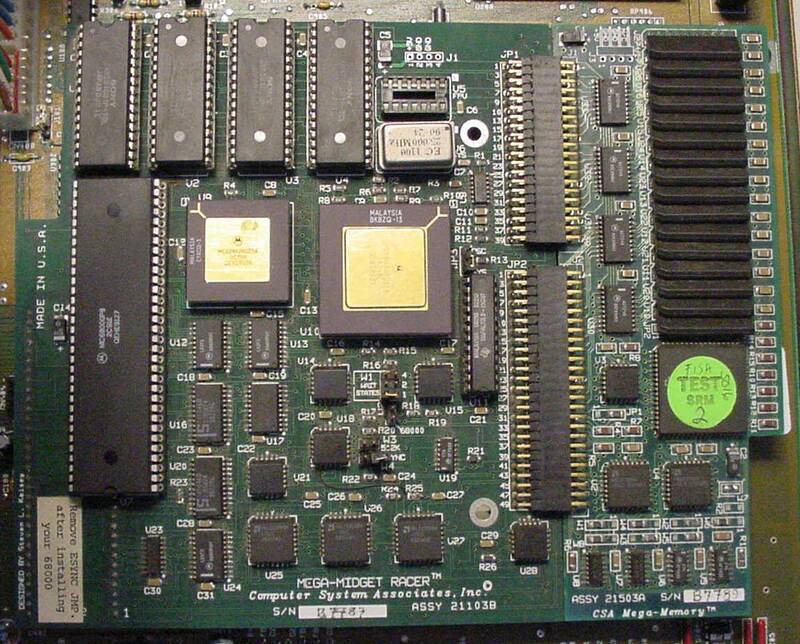 This card sits in the CPU socket of the A500 and A2000. Additional RAM can be added, providing you have the optional RAM daughterboard. Two versions of this daughterboard were made, depending on whether the accelerator was to be used in an A500 or A2000. One version had 40pins, whilst the other had 50pins. The card also includes 512K of very fast SRAM which can be configured as system RAM, or be used to cache the Kickstart for increased ROM access. These are four chips located in the top left hand corner of the board. Page contributors: Anthony Fox, Dan G, Erchin, Johan Grip.